There's currently a post on Pro Sound Web that was derived from a Shure article about cleaning your microphone. After reading it, I thought that I could break it down more clearly into just a few steps. This is more for a mic used in live performance that the studio, although any mic that's used for vocals is naturally somewhat contaminated by the saliva, spittle, and in many clubs, smoke. It's a good idea to clean those mics if for no other reason that simple hygiene. Keep in mind that what we're talking about is a microphone with a removable grill, like our old friend the SM58 or Beta 58. 1) Unscrew the grill from the microphone and remove anything stuck on it with a toothbrush. 2) Now clean both the grill and foam windscreen with some plain water and mild dishwashing detergent. This should be enough to chase any unwanted smells away. 3) Let grill air-dry, but if you're in a hurry, you can use a hair dryer set on low. 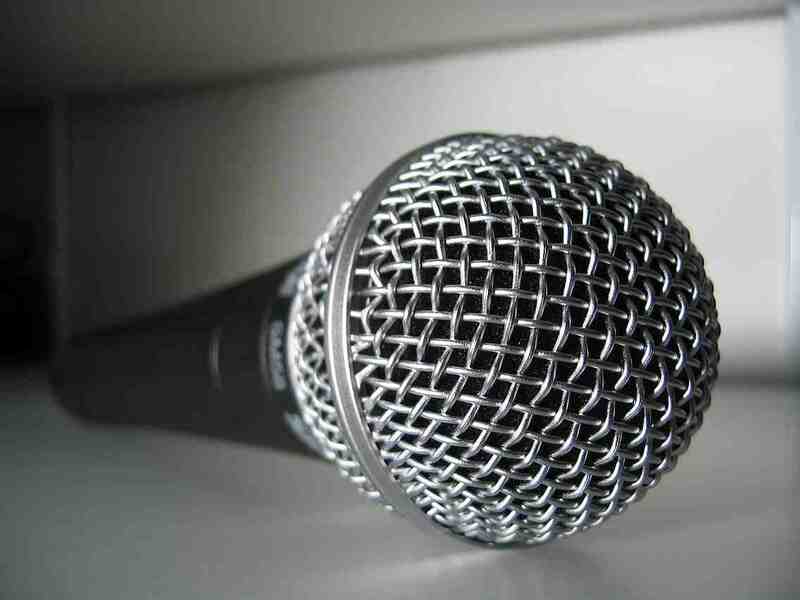 Don't put the grill back on the mic if it's still wet, since this can cause damage to the capsule if any moisture sifts into it. 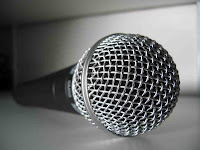 4) For mics with grills that aren't removable like an SM57, turn the mic upside down and scrub with a toothbrush soaked in a weak solution of water and detergent. Don't turn it right-side up until it's dry. Want a quick solution for a stinky mic? Get a very diluted solution of mouthwash and water, turn the mic upside down, and gently scrub. As in #4 above, don't turn it over until it's dry. Be especially careful with condenser mics, since any moisture at all equals disaster. In fact, don't even think about it unless you can take the windscreen completely off and leave it over-night to dry. Once again - be careful, be careful, be careful. Moisture and electronics do not mix. That being said, if you're careful your mics will now smell nice and clean and be good for you too. Lead singer and principle lyricist for the hard rock band SNEW, Curtis DonVito is also an extremely talented graphic artist and well-versed in social media. 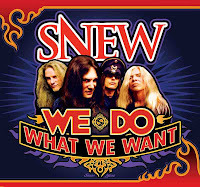 SNEW's excellent new album, "We Do What We Want," was just released last week and has already been a major add on terrestrial and online radio stations around the world. 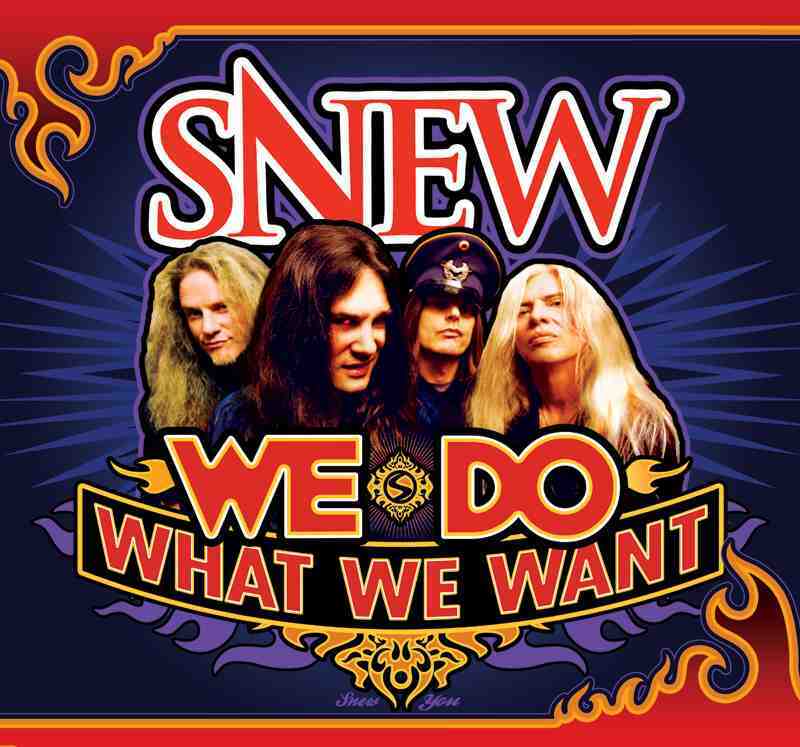 Check out the video for their first single "Feedback And Distortion," and visit their website at snewyou.com. When I was about 18, I knew a guy who was managing his brother's band and they were looking for a new singer. I said "let me try out for 'em." I had never sung a note outside of singing along to the radio before in my life but had always fantasized about it. He said "OK."
Needless to say, I didn't get the gig. BUT unbeknownst to me he put an ad in the Recycler "vocalist available". When I started getting calls I was wondering how the hell they knew about me. I called my friend up and he told he ran the ad. He said "You got a long way to go but I think you should stick with it, you got something." After a few more auditions, I was hired by a cover band, but after about three weeks the guitarist pulled me aside to let me know I was out. Their bass player said it was "Either him or me," because I was an amateur, but he told me to stick with it because "I had something." I auditioned for a bunch of bands until I landed another one. At that time, I was only thinking about being in a cover band. I thought it would be great to actually be in a band and sing songs by all my favorite bands. So when I auditioned for this band, we did a few covers and then they played me one I had never heard before. It was really cool but I had to ask what song that was. They told me it was one of their own. I was blown away. A band that writes their own music? WOW. Then they played me another with no lyrics and said, "We want you to write the lyrics". WOW! A lightening bolt went off in my head. I can write my own music! I knew immediately I was going to do this for the rest of my life. My parents. They are both musicians. When my mom was young she was part of a duet that appeared on American Bandstand. My dad played guitar and was in different bands. When they met they formed a group called the D'Lighters. They toured all over the country opening for Tony Bennett, Louis Armstrong, Louis Prima and the like. They quit for many years after starting a family. They have always been my biggest supporters. They come to my shows and give me great advice and insights. Even though their music and mine are worlds apart, show business is show business and they know exactly what's going on. I've learned the most from them, especially when it comes to live performance. I'm even responsible for inspiring them to get back to playing and recording. They've been back on the live circuit for years now and have released three albums. Now I go to their shows and give advice. Making music and performing live are like water and air to me. I can't live without either. I'm truly alive when I'm on stage and writing and recording feed my soul. I wouldn't call it a job. It's LIFE. Every time I'm on stage. My uncle Don always used to say "Just do it, even if it's wrong... just DO IT." It's my mantra. In one form or another almost all of the songs I write contain that message. Can A New Instrument Sound Vintage? 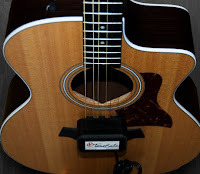 Everyone who's ever played or heard a vintage stringed instrument can attest to the excellent sound, but the problem is it might take 30 or 40 years (or 100's in the case of classic instruments) until the wood and metal ages. If you don't have the money to buy a fine vintage instrument, you probably have no other choice but to wait until a new instrument becomes sufficiently resonant over time. But what if there was another choice? Now comes the ToneRite, an add-on device that claims to accelerate the aging process by simulating years of playing by bombarding the wood with carefully selected frequencies. There's a different ToneRite for every kind of wooden stringed instrument, from guitar to violin to cello, etc. The unit connects to the bridge of the instrument and never touches the body. It gets its power from a common AC outlet. Supposedly results can be heard after an initial 72 hour break-in period. Each unit costs $150 USD. Does it work? If you look at the site, you don't really get any enthusiastic endorsements, but everyone claims that they can detect a least a little difference. The unit is so new, however, that no one has used the unit for that long, so who's to say. 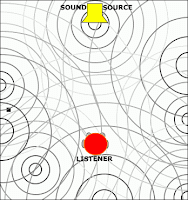 While this might seem like a lot of snake-oil that we see so often (especially the kind aimed at the audiophile industry), inventor Augi Lye is a musician and electrical engineer who had been working on systems for unmanned intelligence drones, so at least he's a guy with a scientific and music background. It should be noted that the ToneRite is primarily intended for classical instruments and no one is yet sure if it can enhance that new Les Paul you just bought. The implications are pretty large for the vintage instrument community though. Imagine if this thing worked, even a little. 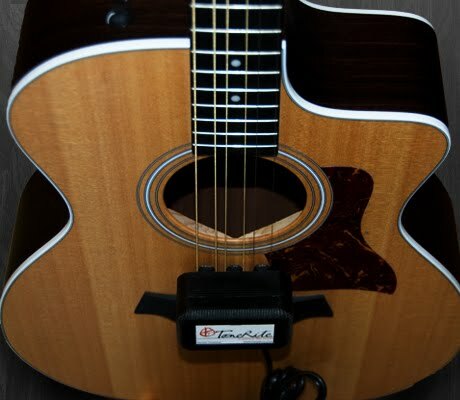 What if you could buy a fairly inexpensive 10 or 20 year old instrument that was already well on it's way to those fine resonant characteristics that we all know and love, and you could use the ToneRite to quickly take it the rest of the way? It might not affect the price of those rare 59 Les Paul's, but it could take a chunk out of the prices of everything else. We're still a ways off from that, but keep an eye on this device to see if and how it evolves. Here's a good article on the ToneRite in the New York Times. Through the years we've all listened to many classic albums recorded at EMI's famous Abbey Road studios, from The Beatles and Pink Floyd to Coldplay and Robbie Williams. One of the things that's always been distinctive about those recordings is the sound of the reverb. Here's one of the reasons for how that sound was achieved. Regardless of whether the reverb was from one of Abbey Road's fine chambers or one of their plates, the secret is in the high and low-pass filters placed on the reverb send. 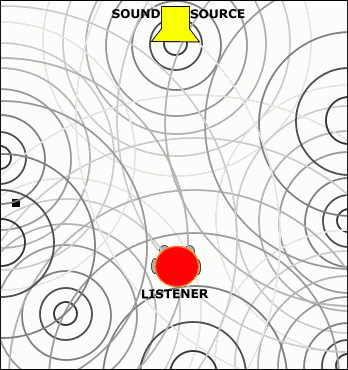 These were set to roll-off everything below 600Hz and above 10kHz, since physical reverb tends to have trouble with low and very high end frequencies. A lot of low end on the verb tends to muddy everything up as well, with no audible benefits. Sometimes you think that you've seen everything, but come to realize that you haven't. I don't know how I missed this over the years, but Kiss's Ace Frehley had a really good suggestion for doubled guitars in a great interview with my buddy Rich Tozzoli in the latest issue of Premier Guitar. Ace mentioned that a trick he learned from producer Bob Ezrin (Pink Floyd, Alice Cooper, Kiss, and a whole lot more) is to slightly detune your guitar when it comes time to play a double. That way, the double will make the sound a lot bigger and wider. Makes perfect sense and I can't wait to try it (can't believe I never have). In the article, Ace also talks about playing an electric guitar without an amplifier before he buys it. This makes perfect sense in that you can feel how it rings and vibrates a lot better without the distraction of an amp. It also makes it a lot easier to cherry-pick to find the best one when you're trying a dozen of the same model guitar. I did this on when buying my last Les Paul and a long time ago with my favorite Strat and the method does indeed work. Follow me on Twitter for news and updates about production and the music business. Don't forget to check out my Music 3.0 blog for more insight on the music industry.